By teaming with Bigelow Tea, I'm really going to make it worth your while. 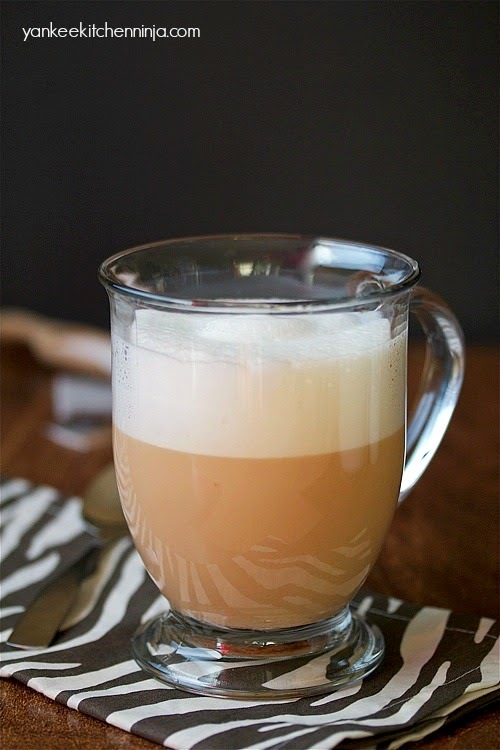 Who wouldn't want to wake up to a caramel chai tea latte? 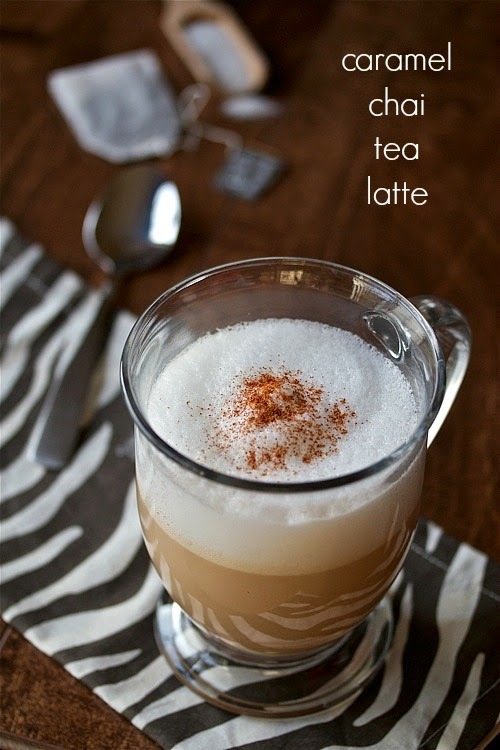 Yes, a tea latte! Truly, it couldn't be easier to make. Simply steep two tea bags (you want the flavor to be strong, since you'll be adding milk) in 1/2 cup of boiling water, then add some heated milk and flavor with a little Truvia or your sweetener of choice (you use a lot less sweetener when you use Truvia!). Even better? 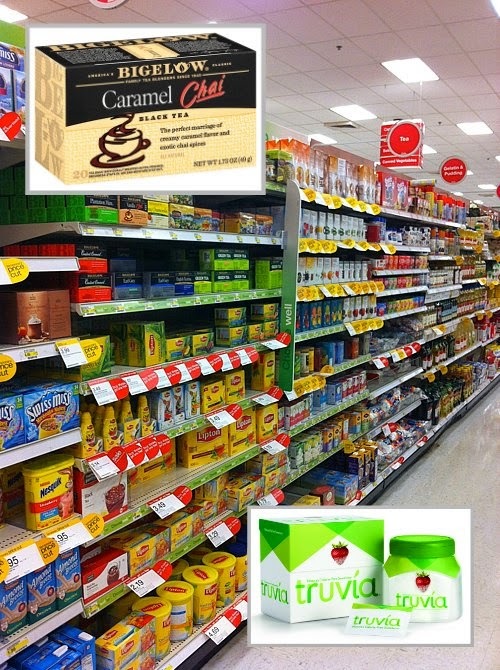 With Bigelow tea's amazing array of tea flavors, you can really customize your latte for your taste and mood. 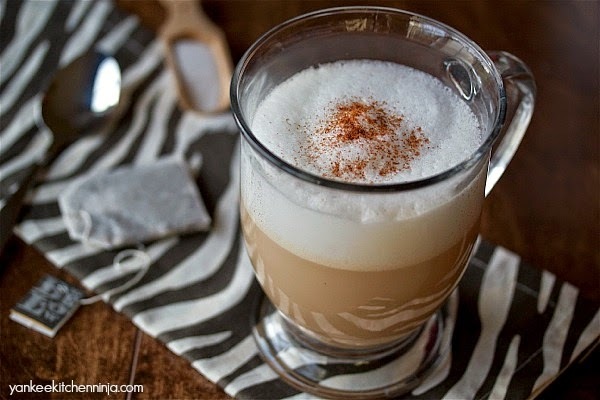 I've been hooked on chai tea this winter, because the blend of exotic spices just seem so warming to me. Which is why I went with Bigelow's Caramel Chai tea for this latte. Want something more traditional with a heady aroma? 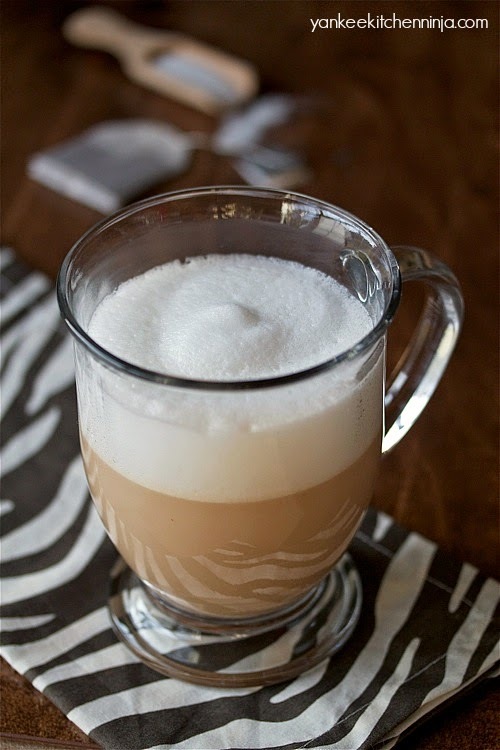 Try making your latte with Earl Grey. Something a little lighter? Green tea would be a great choice. Are you convinced yet? Will you try a morning tea latte in place of coffee this week? Leave a comment: The Ninj wants to know. Pour the boiling water over 2 tea bags in a mug and let steep for about 5 minutes. Discard the tea bags. Heat the milk in a microwave safe container for about a minute until hot but not boiling. Froth the milk (optional) and add to the hot tea. Sweeten to taste with Truvia. I love a good latte, but with caramel?! In love! Hope you enjoy it, Janet! It quickly became mine, too! What an imaginative idea! Caramel makes it all the better! 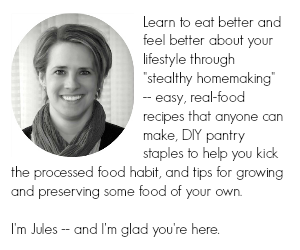 Thanks, Kristen -- I agree!